The best of nature rigth at home. • Imagine living in the heart of nature while enjoying the conveniences of the city. 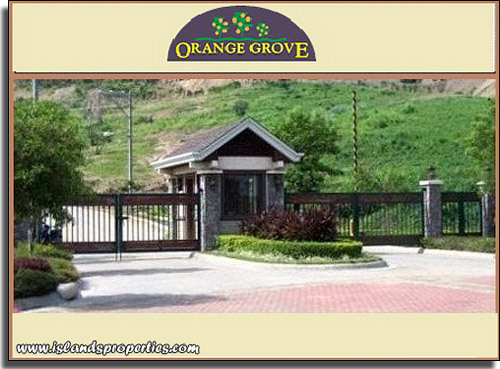 Orange Grove in Davao City is an exclusive subdivision that features a two-hectare mountain park as its centerpiece. Lush verdant grounds and mountainside charms make it the perfect refuge for the mind and soul. •	Host a party at the clubhouse or play a game or play a game of tennis or basketball. Take a dip in the infinity pool as your little ones frolic in the playground. Walk along hiking trails and savor the fresh air and spectacular panorama of the nearby scenery. This inspiring lifestyle is yours for the taking at Orange Grove. •	A lush life so close to the City…. 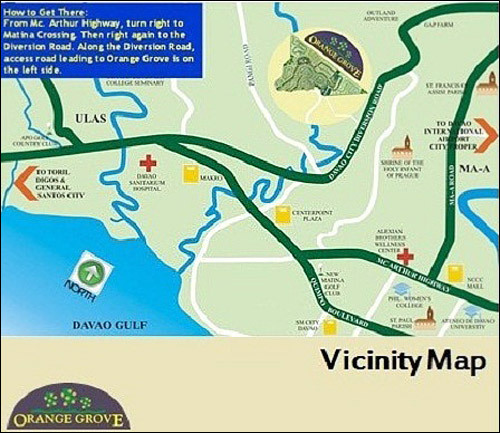 Orange Grove is just 10-minute drive from the City Proper and highly accessible to both public and private transport. Commercial, leisure, educational and religious establishments are within easy reach. •	10 to 15 minutes away from Davao City International Airport, NCC Mall, SM Mall, Matina Centerpoint, Matina Shrine, Ateneo de Davao High School, Banks, and other Commercial Institution. Lot Cuts Price per sq.m. Lot Area 132 sq.m. 132 sq.m.